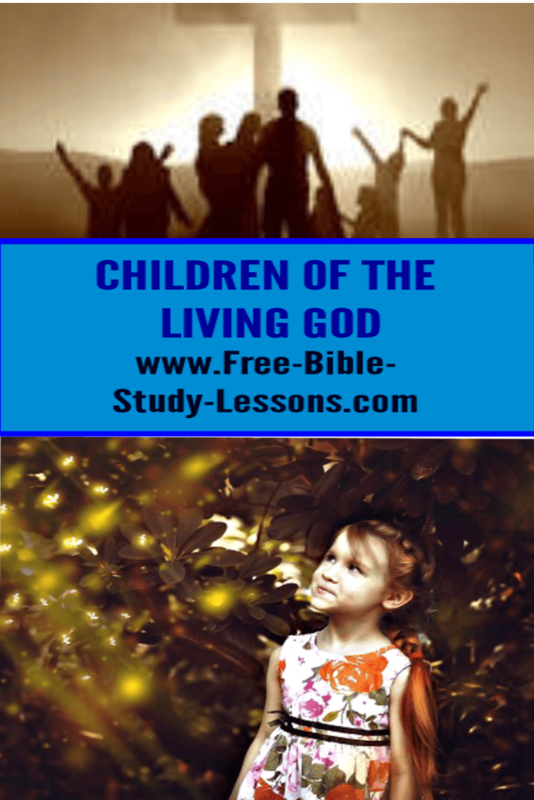 Who are the "Children of the Living God?" In the Old Testament those who were the children of God and those who were not the children of God were divided between the Jews and the Gentiles - although not even then were all Jews automatically children of God. It has always been a matter of faith in the living God. But in the Old Testament times the normal way to enter the family of God was to become a Jew by following certain rites. The Lord, through Hosea, was looking forward to the time of the New Testament. Where was the "place where it was said to them 'You are not my people'?" In the Gentile nations. In fact, in the days of Jesus, the Jews living in Israel even looked down on Jews living in Gentile lands as inferior. For a certain period of time God had to work with one nation. He was developing the womb through which the Messiah would be born, but it was never His intention to limit His love to one nation. His heart is for the world. Now, in the New Testament times, the purpose of God is world-wide and national distinctions are no longer of any value in the family of God. Anyone who comes to Jesus Christ in faith as Lord and Saviour becomes a child of God…instantly. That is the good news of the Gospel. You can enter the family of God and be prized by God as one of His loved children. There are NO "outsiders." No one has to stand outside the window looking in at others enjoying God and wishing they could be there. The door is wide come. Just enter! Of course, there is only one Door - Jesus Christ. No one should think because they are of a certain nationality that they are unwanted. No one should feel that because they are male or female that they are less valuable. No one should think that because of some great sin[s] they have committed that Jesus will reject them. No one should believe that because others have rejected them or told them that they are worthless that Jesus feels the same. No one should…but many do. The good news is that those who were not the people of God now can become the children of the Living God - all equally loved and equally valued by the Father. Let the good news ring around the globe. Come to Jesus, accept Him as Lord and Saviour and know the Love of God.